Here's the changelog for Dashlane v5.0. Automatic in-app logins for owners of devices on Android O. 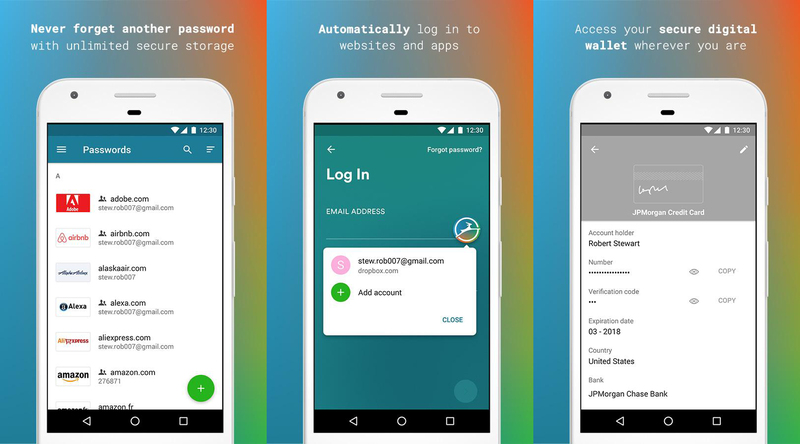 Use Dashlane on your mobile as an authenticator app: log in to accounts where two-step authentication is enabled by generating one-time security codes inside Dashlane. Dashlane is now available in 11 languages, including Chinese, Dutch, Korean, and Swedish. The improved built-in browser is helpful if you want to keep your logins restricted only to the app with added privacy features. However, users of Oreo devices can easily get Dashlane logins into other apps by setting it as the default autofill service. For accounts that have two-factor authentication enabled (this is something you should do), Dashlane can act as your code generator, too. Dashlane is free for use on a single device. However, you need a subscription to sync between devices and platforms.